You may just want to create a niche website to help others out, as a hobby, or you may want to create one to make extra money, or full-time income online. Either way, the steps establishing a website are the same. Read further to find out how to create a niche website of your own, for free. It’s easier than you think! Before getting into specifics, here is a generic breakdown of the main steps required to make your niche website a success. They are the steps that I will be discussing within this article. Is it as easy as it looks, you may ask? It certainly is, as long as you open up your mind to soak in and learn as much as you can. Learning is not the only step you need to make this a reality, but it also comes down to how well and how often you take action after having learnt what to do. For those of you who are serious about creating your very own niche website, then I will also include links within this article to direct you exactly where you need to go, such that, by the end of this article, your website will be ready to earn you some serious income. You could also call this step “Choose a niche”. The reason why I am using the word “interest” here, is very important. A “niche” can be any topic at all, whereas an “interest” would be a topic that you feel strongly about and/or know a lot about. So, your interest can be ANYTHING that you are passionate about. If you are looking to make money with your niche website, then I want you to know that ANY interest at all, can make you money. Your interest does not have to be about something that is expensive, though if it is, that’s fine too. The reason why you should choose an interest that you feel strongly about and/or know a lot about, is so that you find the work interesting. If you just pick a niche out of a hat that you know nothing about, or choose an expensive niche where you can make you a lot of money but does not hold your interest, it can cost you and in more than just one way. For example, choosing a random niche you know nothing about, will cost you time. You will need to conduct extensive research to be able to write about it. Your ultimate goal as the owner of a niche website is to become an authority within that niche. Most of your time needs to be spent actually writing, and not conducting research. Taking this route will delay the success of your website. Another example I will give, is if you choose a niche that is popular, in which you don’t hold a genuine interest. Initially, you will start writing about it but it will not be long before you start finding what you write about, boring. That way, it will feel more like work and you will give it up before the website starts seeing any results. Therefore, choosing an INTEREST and not a random topic, will benefit you in the long-run. You will be more productive and the quality of your work will be way better. It’s no wonder the era we live in, is called the TECHNOLOGY era. The creation of a website would have taken you about 30 days, 10 -15 years ago. You would have needed to learn about coding and programming languages before even attempting to create your website and that, my friend, would have taken you even longer. Worry not, because I am about to introduce you to the platform that I personally use to create my websites and on which this very website has been created. It will take you about 30 seconds – yes, 30 seconds! – to build your website and have it online, LIVE! The platform I use, is the SIteRubix platform. I know, it isn’t too well-known and you may never have heard about it. But I promise you, it is worth it! It is powered by Wealthy Affiliate, which will give you the tools and the support you need, to build your website on a solid foundation. The most beautiful fact about SiteRubix, is that it is completely FREE to use for as long as you want to use it. I will include more information about SiteRubix towards the end of the article. I have been writing online for a while and what I can tell you, is that your visitors are what will drive the success of your website. Therefore, whenever you do anything on your website at all, you have to keep your readers / visitors in mind. Now that you have created your website, the main way to keep your readers in mind, is for you to fill it up with content that they are looking for. Here is a little list of things you can do, to help you attract visitors that are looking for the information that YOU have to give. 1) Create an About Me page – Visitors tend to relate more if they know more about your experiences and what motivated you to create the website. It also helps to include a general, broad statement, that will let them know what your website will be about. With SiteRubix, there is a video training available to help you with writing your About Me page. 3) Write content – This should be done as often as possible, on a daily basis if you can! The amount of content on your website and the frequency at which you write content, will determine how fast you climb the stairs of success. Without content, you will not be ranked in Google and the other search engines. And you will not get any visitors. Therefore, the more you write, the more chances you have of appearing somewhere in the search results of the search engines, and that will result in more visitors to your website. Now, when writing content, you cannot only just write. You will need to carefully choose, what are called, quality keywords. Using keywords that have high searches but low competition, is how you can make sure your website will appear in at least the first few pages of the search engines. Here is a short video training that I recommend you go through, to make sure you are choosing the right keywords and using the right keyword research tool. The video has touched upon Jaaxy, the best keyword research tool for SEO. If you would like to read more about it, CLICK HERE to be directed to my review of Jaaxy. 4) Be active on social media – Social media nowadays, is one big step to keeping good rankings and for bringing in more visitors to your website. A business, specially an online business, without a social media presence, is bound to fail. Let me show you how powerful posting / sharing your pages on social media can be for your online business. At any given time of the day, there are between 1.5 to 2 Billion people on the internet. Having a social media presence will not only strengthen your reputation online with your visitors, but will also help you gain credibility with the search engines, like Google. Bottom line is, the more you show Google that you are active and present online, the more preferrence it will give you as a valid source of information for it’s 2 Billion “researchers”. It will take time, much dedication and persistent work, but it is entirely possible to make supplementary income or even replace your entire offline income with it! Remember, there is no boss to tell you to do the work, there is nobody to advise you of any deadlines, there is nobody to remind you of what steps need to be taken. It is ENTIRELY up to you. Therefore, the amount of money you make and the length of time it will take you to reach your financial goals, will relate directly to how long you spend working and how productive you are within that time. Don’t get me wrong! I am not here to lecture you. I just want to show you how important it is to take action as often as you can in order to reach success faster. During the first few months, I would advise you not to focus on making money. You have to instead, focus on strengthening your strategy to attract visitors to your website. You can agree wit me, that if there are no visitors to your website, that making money would be impossible. Your source of revenue will be your visitors, therefore, think about the quality of information that you are giving to them. If they feel your information is helpful, they will mostly be convinced about the products or advice that you suggest. In return, they will buy the products that you recommend and/or adopt your advice. In terms of making money, as we are focussing on a niche website, I would advise you to look for affiliate programs that are related to your niche. Affiliate programs are what will help you make money. You can incorporate them even if you are just starting up, which is what I would advise. Or you can even wait until you start getting some organic visitors from the search engines to start incorporating the programs. If you are not familiar with how affiliate programs work, then this section will help you understand briefly. An affiliate program is one that you can sign up for, that will be of financial benefit to both the owner of the program and yourself. As soon as you sign up, you are given permission to offer their products to your audience. If a sale is made through your website, then the program will pay you a percentage of the sale. The owner of the affiliate program will generally be another website that sell their own products. They provide affiliate programs to increase their own sales, even if they have to give you a percentage of the revenue from it. As promised, here is some information on the SiteRubix platform, which I think, is one of the best platforms that you can use, to build your website. I mean, it is sturdy, there is very rarely downtime of your website, it is very user-friendly and additionally, you get the training that you need to build your website from the ground up! Another helpful feature, is the support that you get in case of technical problems with your website; they usually take care of it in less than 24 hours! This is unheard of in this industry. Not only do you get to build your website for free, but you get to build TWO OF THEM, for completely free. You can register new domains, or even transfer your existing domains over. You get to access your website and write content right from the platform and upload when you are ready. You don’t even need to actually sign into your back office to do it, which can prove to be a bit overwhelming, especially for beginners. I would like to say that most of what I mentioned above, are included within your FREE membership with SIteRubix. However, if you decide to go premium, then a whole new world will open up to you, with many more tools, more training and much support that will bring your business to new heights! Of course, I recommend that you start for FREE first to see the benefits of the platform. You can remain a free member for as long as you wish! You never have to upgrade if you don’t want to, and there is never any pressure on you to do so. To kick-start your money-making journey, SiteRubix even comes with its own affiliate program. If you promote the program within your website, then sales made from your promotion will earn you revenue. That’s all for this article. I would like to thank you for reading and for coming by. However, it does not stop here. If there is anything you have doubts about or something that I did not explain clearly, please leave your questions about them in the comments section below and I will get back to you asap. Thanks for this detailed post. I know it takes time for you to start making money as this is not a get rich quick scheme. 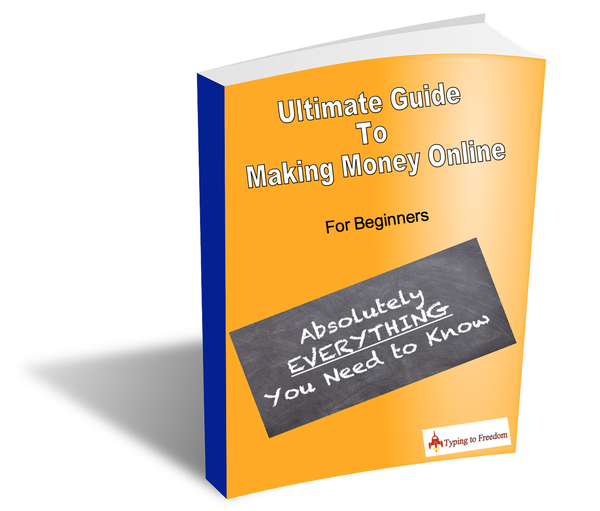 But do you have a rough gauge as for the amount of time needed to start making money? How long does it take to make it full time? Answering your questions, I cannot give a time frame to start making money online and there are a lot of factors that will determine the length of time it will take to make a full-time income. But allow me to say that the more time you spend working, the more you encourage visitors to comment on your articles, the more you post on your website and the more active that you are within the social media platforms, the faster you’ll start making money and subsequently, making a full-time income. The best way to go about doing it, is to write yourself goals. A realistic goal within your money-making strategy online, would be to make a CONSISTENT part time income within the first 12 – 18 months. I don’t think I am a great writer though, do you think I could still benefit from this? Hi John. Thanks for dropping by. I’m happy I was able to convey how great of an opportunity it is to be able to make money online with a niche website. To be honest with you, you don’t have to be a great writer to benefit from this. You don’t even have to have great grammar or vocab either. As long as you write things in a way that people understand, you’re good to go! The great thing about your very own niche website, is that you can always go into the editor to make things better. SO say you write an article today and you re-read it tomorrow and want to make changes or improvements to it, you certainly can! I would not recommend changing things every single day, because that could hurt your SEO and your rankings, but if you think you are making major improvements in how you articulate things and your readers will better understand what you are trying to convey, then go ahead! If you need to make changes, also try to make the changes before you get ranked in the search engines. So I would say, try and make your changes as soon as possible, within a week of publishing. Hi Reyhana. First of all I like your name! Apart from that, I just had a look on your post and seems quite interesting written, and very accurate and informative at the same time. I wish you the very best onwards! Thanks very much for your feedback! I really appreciate it. Thanks for dropping by! Previous Post How much money do Uber drivers make? – Is it worth it? Next Post How to Find an Affiliate Program – Bonus Included!